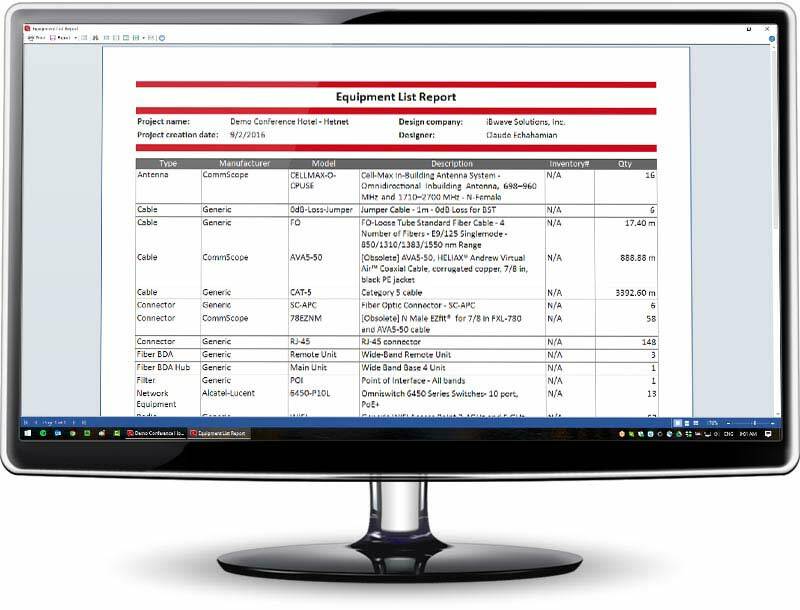 iBwave Viewer is a free read-only version of our iBwave Design and iBwave Wi‑Fi® solutions for your customers to view design files and run their own reports. Always stay connected to your projects via the cloud. Share projects in read-only mode. When you want to share a project with your customer, share it from iBwave Design and they will be sent a direct link to the project. The project will open in Viewer in read-only mode. View design plans by building or floor. When a project opens it will display the cover page, design plan for the building, and the design for each floor plan. Select visible layers. Select what layers of the design to view for each floor plan (examples: view with prediction/without prediction, view with parts/without part, etc). Select visible output maps. 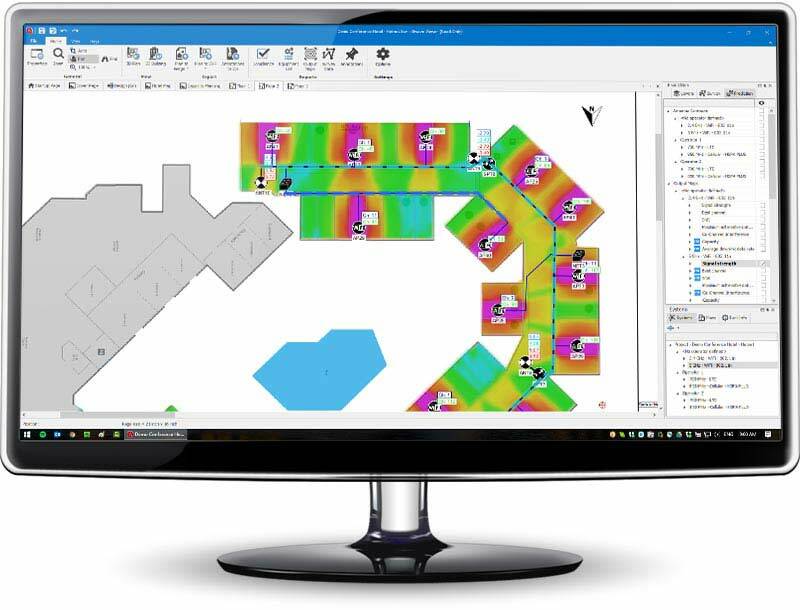 Let your customer select which output map they want to see for each floor plan. (examples: view overlap zone, CCI, SNR, etc). Export Project. Your customer can export individual floor plan designs or the entire plan to an image file. 3D Viewer. 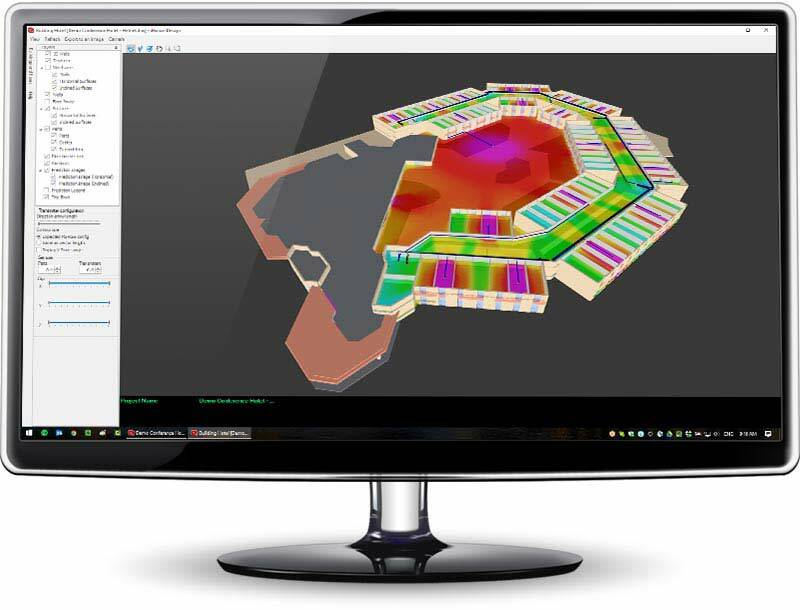 Let your customer view the venue’s network design in advanced 3D either for the entire building or for the current floor plan. View with or without prediction. Your customers can view the design in 3D with or without prediction. Select visible layers. Customers can select what they see in the 3D model (walls, wireframes, cables, APs, transmitters, textures, etc). Zoom, walk through, pan. Your customer can virtually walk through their building in 3D with zoom, walk through, panning and orbit capabilities. Export to an image. 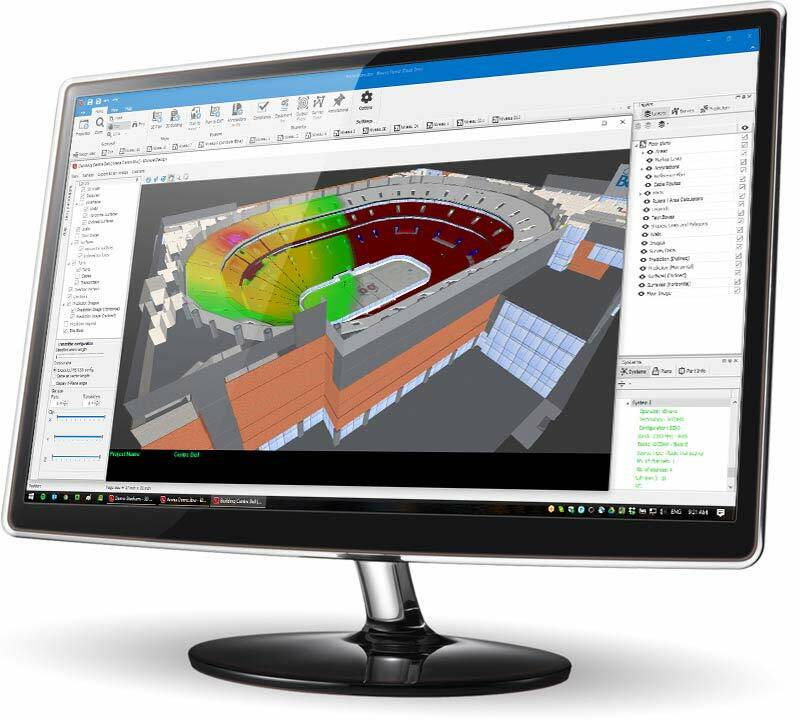 Customers can easily export the 3D model and design of their venue to an image file.